Regular maintenance will extend the life of your carpet and keep it looking beautiful. Today’s carpet fibers are designed to resist soiling and stains, but still require regular care. Dirt and soil can also be a problem for carpet; dirt abrades carpet fibers which can give it a dull appearance. That’s why removing loose soil while it remains on the surface, before it gets worked into the carpet pile by foot traffic, is so important. For maximum effectiveness, use a vacuum cleaner that has adjustable and rotating brushes that are able to loosen ground-in soil, and a strong enough airflow to penetrate to the backing to extract dirt. The vacuum cleaner also should have an enclosed, high-filtration bag that limits particles from re-circulating into the air. 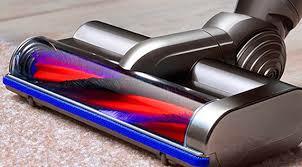 The Carpet & Rug Institute (CRI) has a Seal of Approval certification program that tests vacuum cleaners. Many now feature the CRI label so finding the right one shouldn't be a problem. You should definitely consider having a professional deep clean your rug every year to remove soil build-up. Ask your retailer about steam cleaning and other methods that are in compliance with the manufacturer's recommended cleaning methods to prevent warranty invalidation and damage. A simple doormat at the entrance of exterior doorways will reduce the amount of dirt tracked in from the outside and will go a long way toward extending the life of your carpet. Direct sunlight will fade your carpet over time. The best way to avoid this is to close the drapes when the sun is brightest. You can also choose UV glass or film for your windows. Denting and pile crushing: All carpet fibers will crush under heavy stationary loads. This can easily be remedied. Crushed areas usually can be improved by vacuuming regularly with a “beater bar” type vacuum to restore matted down pile. If that doesn't work, you can use a hair dryer to very lightly raise the dented area while you tug upward on the tufts. Pilling: Certain types of carpet, or heavy traffic, sometimes can create little balls of tangled fibers and lint. Simply pull them off by hand or clip them with scissors. Shading: After certain carpet styles have been subjected to traffic, you may notice areas that appear lighter or darker than other areas. This is called shading and is simply the result of the change in direction of the pile due to footsteps and vacuuming. Brushing the pile all in one direction temporarily may correct shading, but it should be expected in varying degrees, especially depending on pile height. Snagging: Don’t pull the snag. Simply clip it off with scissors. Sprouting: If loose ends or “sprouts” extend above the rest of the pile, clip them off even with the pile surface. Never try to pull them out. After clipping, smooth the area with your fingers. While soft carpet can stand up to the wear and tear of most homes, they are susceptible to powerful vacuums that can pull and snag some of the fibers. 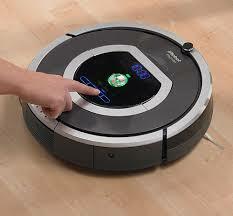 That's why manufacturers recommend the use of certain vacuum cleaners for today's soft carpets. The softer fibers get caught up in the rolling brushes and can lead to damage that is not covered by manufacturer’s warranties. Look for vacuums that carry the Carpet & Rug Institute Seal of Approval. 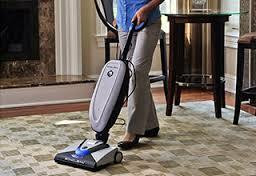 Regular vacuuming will extend the life of your carpet.